One of my favorite combinations of all times is orange and cranberry. It's bright and cheery, sweet and tart...It reminds me of the holidays and summertime all at once. It's just a classic combo that will always be a winner in my book. This recipe is soy-free (if you use all soy-free ingredients), fish and nut-free, and can be egg, wheat and milk-free (see variations). In a large bowl, cream together the butter, sugar and egg until smooth. Stir orange juice into the creamed butter mixture. Pour the batter into the prepared muffin tins and bake for 20 to 30 minutes or until the muffins are golden brown and a toothpick or cake tester inserted in the center muffin comes out clean. Wheat-free: Use a gluten-free flour (such as King Arthur's gluten-free flour) in place of the regular flour. You may also have to add up to 1/2 teaspoon xanthan gum or ground flaxseed to help with texture issues. Make sure that any ingredients you substitute or add fit your particular allergen needs. Egg-free: Use one of the suggestions listed on this blog to make your recipe egg-free. Make sure that any ingredients you use fit your particular allergen needs. Milk-free: Use canola or olive oil in place of the butter or use a dairy-free butter like Earth Balance. Make sure that any ingredients you use fit your particular allergen needs. This is one of those recipes that came from the thought, "What am I going to do with these brown bananas?" I didn't want to make the same old banana bread, delicious as it is, because I was in the mood to try something new. I knew that a lot of people liked the chocolate and banana combo, and I also knew that some people like banana and peanut butter, so I thought, "I wonder if there's a recipe for something with all 3 out there?" and I was off on my quest! A few Google searches later, I found a recipe to work with from allrecipes.com. The original recipe was for Peanut Butter Chocolate Chip Banana Bread as submitted by QueenCook, and it looked heavenly, but I decided to modify it (quite a bit) so that it was more allergy-friendly. This is the result. This recipe is soy-free (if you use all soy-free ingredients), egg and fish-free, and can be nut, milk and wheat-free (see variations). In a large bowl, cream peanut butter with the sugar and vanilla (if using). Mix in the chocolate chips until evenly distributed. Distribute the dough evenly among the muffin tins and bake for 20 to 30 minutes or until lightly browned and a toothpick or cake tester inserted in the center of the muffins comes out clean. These muffins are best eaten completely cooled. We found that they had a slightly bitter aftertaste when we tried to eat them warm, but that disappeared when we ate them completely cool. If you choose to use the vanilla, that does greatly reduce the bitter aftertaste when eaten warm, but it is still slightly detectable. Please, resist the urge to eat them right away, and let them cool completely before consuming. In fact, they are best eaten the second day. In a small bowl, mix the brown sugar with the flour, then stir in butter with a fork until crumbly before adding the oats. Nut-Free: Replace the peanut butter with a tree nut butter if you can have tree nuts or with a seed butter if you can't have tree nuts or peanuts. Just be sure to make sure that the substitution you choose fits all your allergen needs. Milk-Free: Use a dairy-free chocolate chip for the chocolate chips, like Enjoy Life brand. If using the streusel topping option, substitute a dairy-free butter for the butter, like Earth Balance. Just check labels to make sure that the chocolate chips and butter you use fit all your allergen needs. Wheat-Free: Substitute a gluten-free flour like King Arthur gluten-free flour for the flour. You may have to add up to 3/4 teaspoon xanthan gum or ground flaxseed for textural purposes. Just make sure that the ingredients you use fit all your allergen needs. More Peanut Butter, Less Banana: If you want more intense peanut butter flavor, and less banana flavor, increase the amount of peanut butter to 3 or 4 Cups and reduce the amount of bananas to 2 or 3 (2 if they are large, 3 if they are small) and bake as directed. Note that this version is very intense and rich. No Chocolate: If you like the flavor of peanut butter and banana together, but not chocolate, leave the chocolate chips out. As you may have guessed from the post title, my family does not celebrate Halloween. We used to; I even went trick-or-treating as a girl and my hubby went as a boy, but we no longer do. Why? Well, there are 3 reasons really. We do not like the origin of the holiday. As a family, we agreed that we should not celebrate something with the traditions that Halloween has, even if all it is now (for most people, anyway) is an excuse to get dressed up in costumes and get candy. If our kids wanted to dress-up and have candy, they could do that at any time, so this was no reason to keep taking our kids out trick-or-treating in our opinion. The decor scares my kids...and sometimes us. The last few times we actually took our kids trick-or-treating, they were terrified of some of the ways people chose to decorate. They had nightmares about some of it (Seriously!). To us, that makes participating in this holiday not worth it. Walking around in the cold (and either snowy or damp, considering where we live) weather for hours is horrible for my Fibromyalgia. I couldn't take them even if I wanted to. A Harvest Party. This is very common and a great alternative. You don't get dressed up in costumes, but you celebrate the season of Autumn and the time of Harvest. You can decorate with fall colors, leaves, pumpkins, apples, Indian corn, etc. You can play games and have a piñata with candy and toys in it. You can have all the fun without the ghosts and goblins. Have Family Time. You can just spend time with family, immediate or extended. You can jump in the leaves, go on a color tour, make indoor s'mores﻿, drink hot apple cider...You can do anything that screams "fall" to you. Have A Non-Halloween Dress-Up Party. We don't do this, but we know people who do. If you still want your kids to be able to dress-up, but don't like all the ghosts and goblins, have a party that has a theme like "animals" or "farmers" or "historical figures" and have the attendees dress-up accordingly. Game Night With Candy Rewards. This could be a party or a family thing. What you do is get age-appropriate games together and make up a reward system. Now, you could go very educational-based, and have them go through X amount of math or spelling/reading flashcards in a minute to earn some candy, or you could do games like Tick-Tac-Toe or Go Fish! and reward the winner of each game with a miniature candy bar or something. You could even have candy bar eating contests or apple eating contests. You could do any number of things. The point is, if you feel that your kid will miss out if they aren't getting candy, then find a way for them to get the candy without the Halloween twist. You don't really need a reason to give your kids sugar, but sometimes it's nice to give them fun ways to earn it. :) What you use for rewards is totally up to you. Take care, and may you have an amazing day! I am﻿ a huge fan of cinnamon rolls. They are warm and gooey, delicious and sweet and remind me of my childhood. They are wonderful on a cold morning and never cease to make me smile, so they are worth the effort it takes to make them from scratch. Really. Especially this recipe. Heat the milk in a small saucepan until it bubbles; remove from heat. Add butter to the milk; stir until melted and set aside. In a large mixing bowl, combine 2 1/4 Cups flour, yeast, sugar and salt; mix well. Cover the dough with a damp cloth and let it rest for 10 minutes. Meanwhile, in a small bowl, mix together the ingredients for the filling portion (listed below) until well-blended. After 10 minutes has elapsed, roll out the dough into a 12x9 rectangle. Roll up the dough so that you have a 12 inch "rope" and pinch the seam to seal. Preheat the over to 375oF. When the rolls are done, remove them from the oven and glaze them immediately. As I said before, these are best fresh and warm. If you do happen to have left-overs, warm them up in the microwave or oven before re-serving. Milk-free: Use a dairy-free milk and dairy-free butter (such as Earth Balance and SoDelicious brands) and cook as directed. Be sure that the brand you choose is soy-free or this recipe will no longer be soy-free. Orange-Glazed Cinnamon Rolls: Use Orange Juice in place of the milk in the glaze portion. You can omit the vanilla or not; your choice. If you want extra orange flavor, you can also use orange juice in place of the water in the roll portion. Cream Cheese-Glazed Cinnamon Rolls: If you prefer a cream cheese frosting, you may substitute it for the glaze listed, just note that that will negate the soy-free status of this recipe. Why did I choose to share this picture? Because I want to be like this leaf; a bright spot amidst the grey and bleak. So I have a few updates to share with you all. I am making good progress with my weight loss goals! As of Saturday, October 13th, 2012, I am down 25 lbs. since my heaviest this year, 15 lbs. of that since August 5th, 2012 (just days before my diagnosis of Fibromyalgia), and I've lost a total of 10.75 inches since August 11th, 2012. I am a happy gal! :) I've still got a long way to go - 65 lbs. to reach my ultimate goal of 155, but I'm ok if I can at least make it to 175, so anything over 45 lbs. more lost is a bonus - but I'm thrilled with my progress. I am doing better with my October Unprocessed pledge. I'm still not 100%, but better than I was a week ago, so I'm happy. 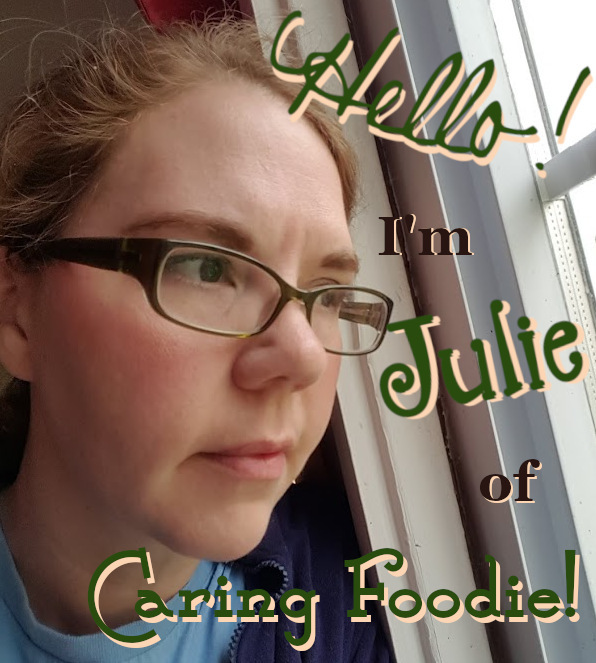 I'm learning more about how food truly effects me through it, learning to be a little more diligent in label reading and becoming more empathetic to people who have food sensitivities, special dietary needs, etc. That is invaluable, and I'm glad for it - even if the process hasn't been the most fun! I am learning how to be the bright spot. This condition has its very dark moments. It can take you darker places than you ever thought you'd go. It is a shock, and an eye opening experience. It is in those moments that you have a choice. Do you let the darkness consume you, or do you look for that bright spot? Do you scour the globe looking for that one good thing, no matter how tiny, to get you through or not? It's not always easy; some days it's down right torment to look for the positive. Some days there is no positive about your physical being...so you have to look beyond it. You look to God, to friends, to family - and you find that lifeline. I want to be that lifeline. I want to be the light in the dark. I will pray, I will support, I will give that ear and that shoulder to cry on, and I will offer that joke and that smile. This condition - in all it's awfulness - has given me that: the desire to overcome and rise above and be a blessing and a help. That is my bright spot...the part that I am so grateful for despite it all. To all of you visiting my personal blog for the first time, I welcome you with open arms. If I can help you in any way, please don't hesitate to comment or send me an email. I'll respond as promptly as I can. To those of you who have been here before and are returning, bless you! You make my day! :) I'm here for you, too! Comment or email me - I'd love to know you were here! Today is another rough day, and honestly, I am having a world of trouble just typing this, but I made myself make the effort. I had a hard time getting out of bed, I'm extremely stiff and achy and it's been a highly emotional morning for me. I wanted to go to church, I wanted to help with getting the kids ready, I wanted to help get breakfast ready, I wanted to be the wife and mommy I think I should be....But the trouble is that today, I can't be what I think I should be. I am in a body that mocks me. I am simply unable to do much more than read or type, and I'm not so sure about the typing. So what is a girl to do? In the midst of the worst of the tears, in the midst of the shower in the dark because light is not something that is my friend right now (I have the monitor adjusted to where it is very dim and it still is not so pleasant to look at, so I'm closing my eyes and thanking my 6th grade typing teacher for the skill to type without looking :) ), in the midst of feeling worthless, I heard God whisper, "Be still, and know that I am God:" (Psalm 46:10a, KJV) Be still - pause and take a breath, because that's what a comma means - and know that I am God. All the sudden it didn't matter what I could and couldn't do. I was to be still and know that God was in control. It will all be ok...somehow. I just need to rest in Him. Trust Him. And that's what I'm going to do. In the moment I decided to trust, that I decided to rest in God, peace came and I was flooded with what I could do. I could pray. I am going to pray for my cousin who is 30 weeks pregnant and having preterm labor issues. I am going to pray for my brother and his family in Ghana where they are missionaries. I am going to pray for the other Fibro moms I know, and anyone else who has a chronic condition. I am going to pray for those struggling. I am going to pray for you. Suddenly, life isn't so bleak, I can still do something oh so very important. I can be a prayer warrior when I can do nothing else. That, my friend, is what gives me strength today; the realization that when I can't, God can...and He's using me today to pray...and I feel blessed beyond words because of it. To close this post, because honestly, I can't type much longer and I really need to lay down, I am going to post some pictures of the beauty of God's creation. When you look at them, think of these words, "Be still, and know that I am God:" How is God showing you Himself today? My oldest son just had a birthday, and I'm one of those moms who likes to make treats for my kiddos to take to school for their class. This can prove an interesting challenge because there are children with food allergies/sensitivities in his class, and I'm not one to make a treat that only a few can enjoy. I just don't think that's fair! At any rate, I did some searching for a treat that would be fun for fall and safe for all his classmates. The result? Leaves and Acorns! 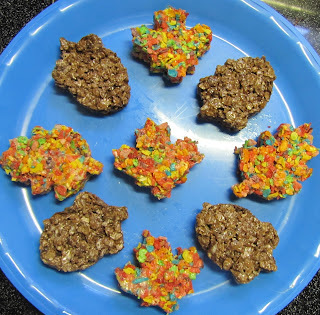 These fun little festive goodies are just your standard Rice Crispie Treats made allergy-friendly with the aid of Cocoa Pebbles, Fruity Pebbles and Marshmallow Fluff (recipe adapted from here). They are soy (if you use all soy-free ingredients), wheat, fish and nut-free and can be milk and egg-free (see variations). That, my friends, is one wonderfully allergy-free and delicious way to enjoy autumn! 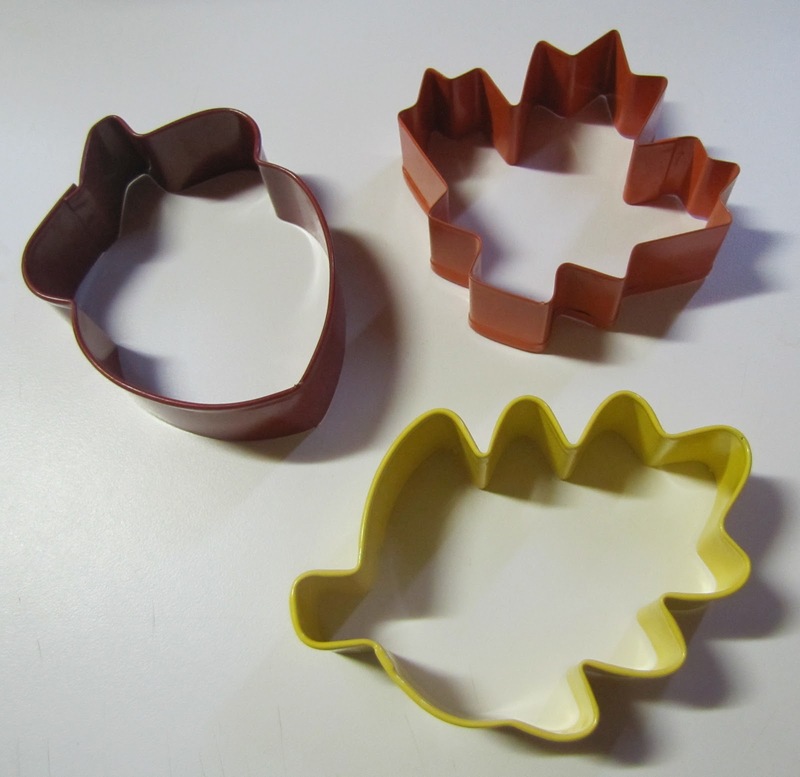 Also, you'll be using your hands to help mold the shapes, so make sure they are extra clean. I don't recommend using gloves as this is a very sticky project, but if you have some that work for you, feel free, just don't use latex unless you know there will be no one consuming them that has a latex allergy. 1. In a large stock pot, melt the butter over medium-low heat until melted. 6. Press the mixture into all the little crevices inside the cookie cutter until every space is filled. 8. Continue this process until all the cereal mixture is gone and then repeat all the steps using the other cereal. 9. Once the treats are completely cooled/set up you can transfer them to a plate and stack them if you desire. Each batch makes around 18 treats, so you should have about 36 treats total. Milk-free: Use a dairy-free butter such as Earth Balance. Just make sure that the "butter" you use is also soy-free or the recipe will lose it's soy-free status. Egg-Free: You can try your hand at making your own egg-free marshmallows by using a recipe such as this one or this one (They are basically the same recipe, just minor differences here and there.). You'll need about 6 Cups mini-sized marshmallows or 2 1/4 Cups fluff. Bar Style: If you don't have the leaf and acorn cookie cutters, you can most certainly press one batch of the cereal mixture into a 9 x 13 pan and cut it into squares. It will make 24 treats per batch this way. You can also make just one flavor if you like, or you can substitute the cereal of your choice for the Pebbles or even popped popcorn. Just remember that changing cereals or using popcorn can negate some of the allergen-free status of this recipe depending what type/brand you use. Peanut Butter Chocolate Treats: If you wish, and you don't have peanut allergies, you can add 1/4 to 1/2 Cup natural peanut butter in step 1 along with the butter when making the Cocoa Version. You could also use a nut or seed butter. I suppose you could make it this way with the Fruity Pebbles, too, but I'm not sure how that would taste together, so do that at your own risk. :) Just be careful which type of peanut butter or nut/seed butter you use, because a lot are not very allergy-friendly. I love Autumn, but I'm pretty sure it doesn't love me. 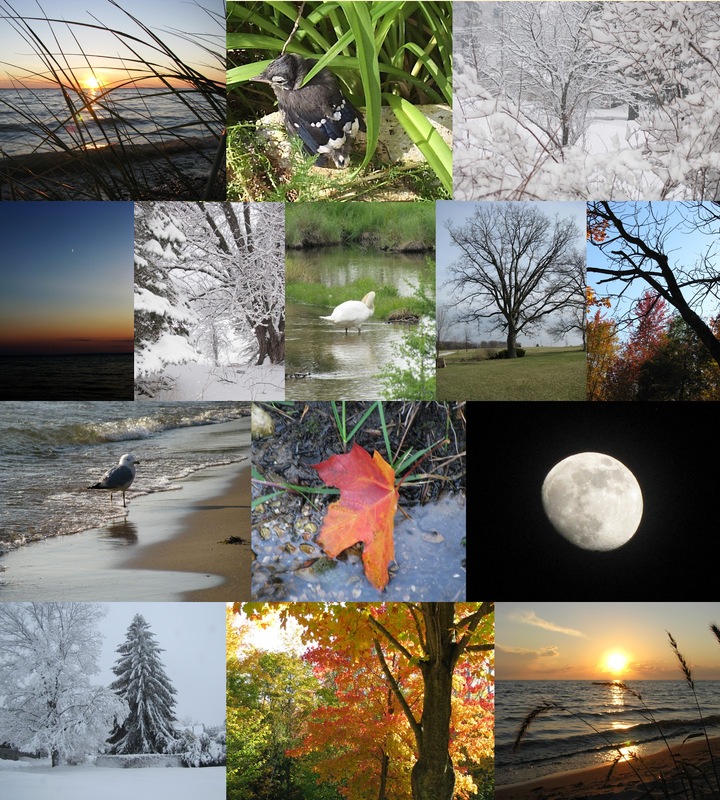 So far, this year's autumn has been full of weather that screams "I want to be winter, not fall!" with all the wintry mix precipitation, wind and icy temperatures. To say the least, my body is screaming for sunshine to no avail. It is just going to be one of those days seasons. I am laughing as I type, ironically, at the amount of effort it is taking to type each sentence. My fingers are stiff (I keep taking breaks to hold onto my nice and toasty coffee mug to warm them up since that helps the issue) and my mind cannot seem to remember how to spell anythng, anyting, aynthng...ACK! ANYTHING! There, got it. :) Sneaky bugger, words. Anyway, you'd laugh if you saw me. Really. It's ok. I'm giggling. I have 2 sweatshirts on, a pair of thick, warm leggings under my long, jean skirt and not 1, but 2 thick, heavy blankets wrapped around my waist. Oh, yes - Paris runway, here I come! Seriously, it should be a trend. :) *using best announcer voice* "Fibro Fashions...When you need more warmth than a parka can offer to help get rid of the pain." Yah...I'd buy that...or not. Function over fashion today, for sure! I haven't resorted to gloves or a knit cap yet, but I've thought about it! If you're wondering why I haven't turned up the heat - I have. It's plenty warm enough in here for the average bear...My body just needs more than that today. Gotta love it! I feel like I'm being attacked on all sides. I've overdone it physically, it's cold and icky out and my October Unprocessed (click on my neat little badge to the right to read more on that) pledge is not going according to plan (i.e. way more than my normal amount of next-to-no processed food has entered my body lately - bad Julie!). So what's a gal to do? Well, I can do nothing about the weather, so let's just skip that. It doesn't bother me too much in general as long as I am good in other areas...something I know, but pushed to the back of my wee little mind. That needs to stop or I'll be in trouble more often than not. Next! Ok, so I can do something about the physical stuff. I need to rest more (or at least take more breaks) and ask for help more. I can do that...but it's not easy for me. Why? Because I struggle with pride, just like the next "I can do it better" person out there. It's a very bad habit...a NASTY habit. I'm working on it, really I am, but habits can be so hard to break. God is using this pain that I'm feeling right now to remind me just how "not worth it" pride is. It's rough, but I'm grateful for it in that sense. The food issue...Yah, this is the one that I'm most embarrassed about. I KNOW better. I advise people about this daily! What is my problem!?!?! Selfishness. Really, that's what it boils down to. I'd rather sulk about my pain and whimper in the corner and throw in an easy, ready-made, preservative and who knows what all else packed meal than whip up something easy that's good for me (like spaghetti or salad or macaroni soup or any one of the more simple recipes from my other blog). I can even do "planned overs" when I am feeling good, but I don't. I'd rather have more "me" time than prepare for a rainy Fibro day. Shame on me! Today is a painful reminder of what selfishness can do. I'm thinking, selfishness is just as "not worth it" as pride. Eventually I'll learn those lessons, I hope! Today as I look around a house that I'm helpless to make spotless, as I painfully try to make a meal I know I need to make instead of falling into the "processed food" rut, as I long to play with my kids more than I can, I will remember what got me here. We can't control all of our circumstances, but we do have choices to make within them. Life, like weather, hits all of us with a mix of things we cannot control. We can choose to wear the proper attire for it (i.e. a smile where it can be given and a prayerful, loving heart) or we can go out in it without a jacket on and complain because it's not summer time (i.e. be a grump and feel like the world's against you). You can enjoy the storms so much better if you choose to see the beauty of the rain than focusing on the loudness of the thunder. Life also consists of things we can control, just like the food we eat or the physical activity we do. We can choose to eat right and be healthy (i.e. keep our attitude right and do those good things we're able to do) or eat the junk and pay for it later (i.e. sin is only sweet for a little while - the consequences always come...and often a whole lot worse than you bargained for or expected). We can choose to go on the walk or run that race (i.e. help others out, take care of our families) or we can sit on our heinies and grump that we have no energy (i.e. live like a hermit and wonder why we're all alone). Perspective changes everything. I'm grateful for these Fibro Days of Autumn, even though they are rough. Why? Because they remind me that, even when I cannot, God can and that it's not about me. I cannot be prideful or selfish and live a long, full, happy life. Those things cripple and hurt, very literally. If I want to have the best life, I have to let go of a little bit of "me" time to plan ahead, I have to ask for help when I need it and I need to always pray for wisdom to know just what the right balance is. I cannot do this alone. I need my family, my friends and most of all, my God. It's that time of year again! The leaves are changing, the weather is getting colder and flirting with the idea of snow (I know! So cruel! ), and you're finding yourself wanting to curl up with a thick blanket and something nice and hot and nostalgic to warm you up from the inside out. For me, that comfort food is chili, my Mom's chili. It was one of the relatively inexpensive meals that made a lot, so we had it when we could, especially in the fall and winter. I can't eat it without smiling, remembering the times we had it with extended family, especially when we'd eat it with my beloved late grandpa who enjoyed it with Sweet N' Low - a German tradition, I am told, which dictated that you are to eat anything with a tomato base sweetened (he was diabetic, so sugar was a no go), though I have not jumped on that bandwagon. :) It is my hope that this recipe (a slightly modified to be allergy-friendly version of my mom's) will become part of your favorite memories from now until the end of time. This recipe is soy-free (if you use all soy-free ingredients), egg, fish, milk and nut-free, and can be wheat-free. 1. ﻿Over a large stock pot, drain the chili beans and pinto beans; set the stock pot with the liquid aside and place the drained beans into a large bowl. 4. Add 1/2 to all of the package of chili seasoning (amount based on preference), onion salt, garlic salt, celery salt and paprika to the meat and mix well over medium heat; remove from heat. Wheat-free: Leave out the soup and use a gluten-free chili seasoning and gluten-free chili, pinto and kidney beans instead (the kidney and pinto beans should be gluten-free no matter what brand you get, but it is always best to double check). You can try your hand at making your own chili seasoning, by following a recipe such as this one or buy one such as these. I'm Now The Mother Of A 10 Year Old!